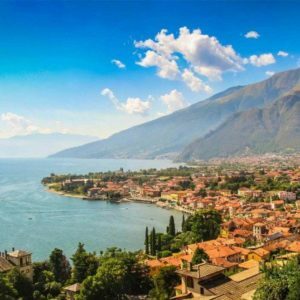 Our itineraries to the discovery of Lake Como. DISCOVER THE PLACES OF THE FAMOUS NOVEL "THE BETROTHED" BY ALESSANDRO MANZONI. LIVE THE ROMANTIC EMOTIONS OF RENZO AND LUCIA! 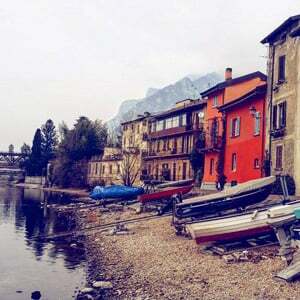 YOU WILL HAVE THE OPPORTUNITY TO VISIT COMO LAKE, MILAN, LECCO AND MANTUA. Meeting point of the participants in the agreed place, accommodation on a private GT bus and departure for Lake Como. Stops along the route. The packed lunch is charged by the participants. In the evening arrival at the hotel, accommodation in reserved rooms, dinner and overnight stay. Breakfast at hotel. In the morning departure for Lecco and visit to the Manzonian places: Villa Manzoni and Manzoniano Museum. Free lunch. On foot it will be possible to reach the Church of the Convent of Pescarenico. A few steps away is located the Fishermen's Village around the ancient Piazza Era. At the mouth of the Bione torrent, a plaque commemorates the night of the escape of "The Betrothed" from their hometown. 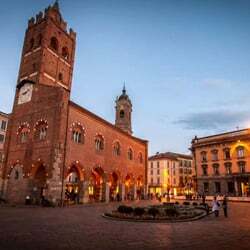 It will be possible to admire: The Church of Don Abbondio, the presumed Lucy's house of Olate, the tabernacle of the Bravi, the Palazzotto of Don Rodrigo and the traditional Lucy's house of Acquate. In the evening return to the hotel for dinner and overnight stay. Breakfast at hotel. In the morning, accommodation on a reserved Gt bus and visit to the city of Como: the Cathedral; the Basilica of Sant'Abbondio; the medieval walls and towers of Vedetta, Porta Torre, Torre Gattoni, Torre San Vitale; the Basilica of San Fedele; the Duomo, Broletto and Civic Tower. In the afternoon transfer to Monza for the visit of the city: the Cathedral, inside which is preserved the Iron Crown, a precious relic with which the European emperors were crowned by Charlemagne to Napoleon. The visit continues with the adjoining "Museo del Tesoro" of the Cathedral, where is kept the most important collection in the world of late antique and Lombard, one of the most important pieces being the famous "Chioccia con i Pulcini", as well as objects , Medieval and Renaissance sculptures and paintings. At the end, accommodation by bus and departure for the return to the hotel, dinner and overnight stay. Breakfast at hotel, accommodation on reserved GT bus and departure for Milan. Full day dedicated to the visit of the city, retracing the most salient and evocative places of Manzoni's existence and art and of his characters of the novel, in an itinerary that starts from the area where the Lazzaretto stood, of which remain a short stretch of walls and the church of San Carlo, until you reach Piazza San Babila and Piazza San Fedele. The itinerary ends with the Manzoni Museum, located in the house where Manzoni lived with his family from 1814 until his death. 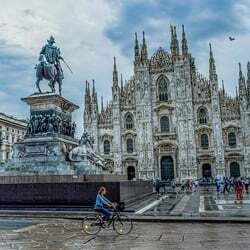 In the afternoon continuation of the visit with the historic center and the renowned Cathedral of Milan. Time available for shopping. In the evening return to the hotel, dinner and overnight stay. Breakfast at hotel, release of the rooms, accommodation of the luggage on the GT Bus and departure for the return to the place of origin. Possible stop along the way for the visit of an intermediate city and for lunch. Transfer in airport and end of Tour.